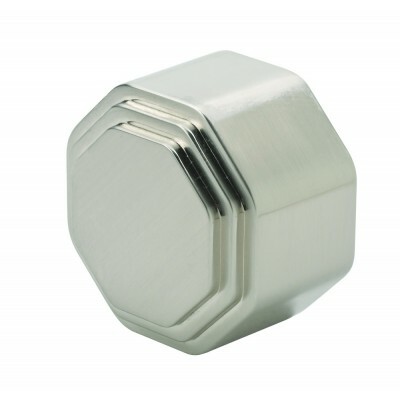 Richard Burbidge brushed nickel wall mount handrail end cap with octagonal design. Fits 54mm diameter round handrails. Fixing is by two screws.